A special destination located on the West Shore of Lake Tahoe designed to celebrate the good life and provide an escape from the ordinary. Rubicon Retreat is a nearly-new luxury, three bedroom, three and 1/2 bath, 3200 square foot home designed with all the modern amenities you wish for, yet steeped in the charm of old Lake Tahoe. Walking into the main level, you see an open floor plan, which offers a spacious living room, dining room, and huge kitchen for entertaining or casual family gatherings. From this level you can experience relaxing views of the lake throughout this exceptionally-designed home and onto the private, outside deck. A perfect back-drop to the beauty of the lake. Upstairs, the private master suite has a spacious bath with double sinks and a large walk-in shower. The best feature though is the private balcony just off the bedroom overlooking the incredible lake views. Downstairs, there is a large family room with media center and another private deck area. Also on this floor, a second master suite with lake views and its own private bath. The third bedroom is the 'bunk room' which has two sets of Mountain Red bunk beds to accommodate 4 teens/children over two years of age. This third bedroom also has its own private bath. If a crib is needed, please let us know. There are rental services which can provide a crib for you. There is also a separate laundry room located downstairs. This is the vacation home you have been dreaming of. Close to either North Shore or South Shore, but worlds away from the congestion of both. Considered to have the most beautiful turquoise water on Lake Tahoe, Rubicon Bay is a delightful area to enjoy the private HOA sandy beach. Perfect for relaxing on the beach, swimming in the clear water, or renting a kayak to explore the beautiful lake. Close to Emerald Bay and DL Bliss State Park, Rubicon Retreat is located in an area where people say it reminds them of how Lake Tahoe used to be. Hiking and walking trails abound, and because of the close proximity to both North and South Shore, there are many opportunities to enjoy all the special restaurants, shops and activities for vacationers. But if you just want to put up your feet and watch the world go by, this is also the place to relax and enjoy nature at its finest. Don't wait...Indulge your senses in the beauty and serenity of Lake Tahoe at Rubicon Retreat! SEE ALL PHOTOS BY SCROLLING TO END OF LISTING. Bathrooms are en-suite. Half bath is located on main level. Outstanding views of Lake Tahoe from almost every room in the house. We are one lot up from lakefront. Viking Gas Cooktop Range with six burners. Includes Pottery Barn dishes, glassware and serving pieces and cutlery for eight. Wonderful view of lake. Great entertaining kitchen open to dining room. Flat screen tv's in LR, FR, MBR and downstairs MBR. Off the master bedroom. Very private. (2) Decks off the lower floor family room and second master bedroom. Deck off the main living area with railings. Overall excellent! Thanks Sharon/Tom, y’all are the best. The house is perfect, well appointed. Best place to relax, take in the views and to adventure Tahoe. We spent ten days at Rubicon Retreat in September and were very happy with the house. Even though there are lots of houses nearby, it is situated in such a way that you don't notice them. The views of the Lake are spectacular and it is a very short walk to the beautiful white sand beach. I have been coming up to Tahoe since I was a kid and this is by far the nicest place that I have stayed. Although there were only two of us on this vacation, it would be a great place for a three generation family or a couple of families. Lots of room and a really huge kitchen that can easily absorb "too many cooks". It's on the West side of the Lake and an easy drive to Tahoe City and Truckee or South Lake Tahoe. Lots of places to hike within a few minutes' drive. Highly recommended. We will definitely be back. Thank you, Andy, for your wonderful review. We'll look forward to having you stay with us again. My son and family enjoyed one week at Rubicon Retreat. One week was not long enough. The home is perfect our two families each had its own floor offering privacy as well as comfort. The views are lovely what a great way to wake up in the morning looking out at the many shades of Tahoe blue. The house was built with great style and quality. This is the kind of place that was wonderful to come back to after a day out in nature. Bliss, Emerald Bay, and Sugerpine are just next door making trips out very easy. We can't wait to return to Rubicon Retreat. My husband and I visited over the Christmas holiday and we had a wonderful. 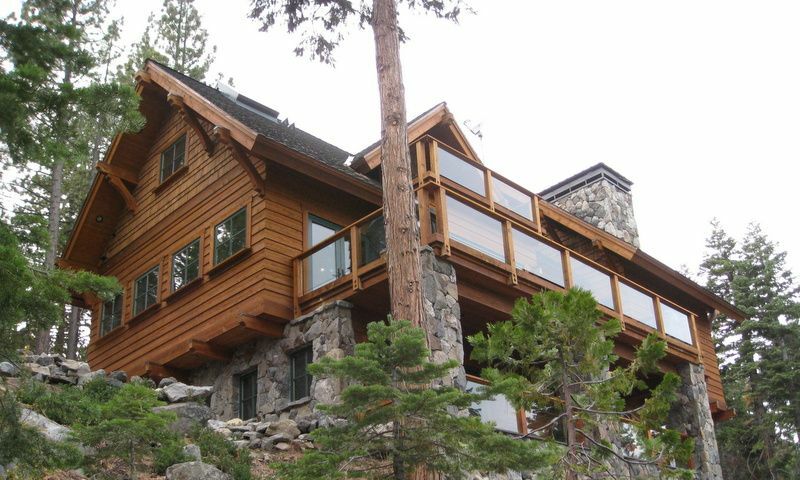 Rubicon retreat was the perfect secluded place with a perfect view of Lake Tahoe. It was a very short drive to some beautiful hiking trails, even in the winter. If you wish to get away from all the activities on the East side of the lake, then this is the perfect place to stay. We had an exceptional vacation at the Rubicon Retreat! Three weeks of bliss on the beautiful West Shore "Best Shore: of Lake Tahoe. The home is very well designed & appointed. Views from all three levels of the lake and easy access to the private beach. We can't wait to come back again! Rubicon Retreat is an amazing home! The pictures online looked nice however when we arrived the home was much larger than it appeared and even nicer than the pictures. It has all ammenities you need for a vacation in Tahoe and everything was top notch! (Brand New/Truly High End) I have been coming to Tahoe since I was a child and usually stayed closer to Tahoe City. I had no idea how beautiful Rubicon Bay was until staying here. The water is crystal clear (Similar that of the Caribbean) and the views from the home were amazing! The beach at the HOA is a short walk from the home and was one of the best beaches on the West Shore. It was very private, uncrowded and great for swimming. We rented a Kayak for a couple days. The waters in the Bay were calm and the views from the water were amazing. As a child I thought Rubicon Bay was too far away from Tahoe City, however since staying there I have changed my mind. It's only 20 minutes from Tahoe City and there are restaurants, local convenience stores and equipment rental shops even closer....within 10 minutes away. In fact, it was much nicer to stay away from all of the hustle and bustle, having a very peaceful, serene home to come back to. I would definitely recommend staying here. And the owners Tom and Sharon were great. They were very helpful in answering questions before and throughout or stay. Provided Rubicon Retreat remains a vacation rental, we intend to come back each summer for a week getaway. The $1000.00 reservation deposit is non-refundable. Please note our Transient Occupancy Registration Permit Number is #494.